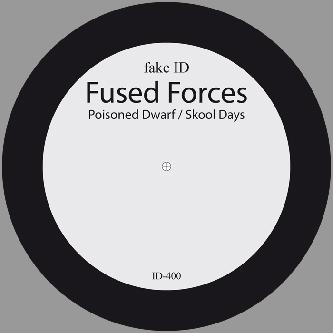 'Poisoned Dwarf' finds Fused Forces launching into synth-string laden dubstep and hoover-like deep bass, riffing on squawking chord stabs. The beats roll in with a slow belligerence with a decent amount of crispness in the snares, but those strings teeter on the cusp of new-agey banality. 'Skool Days' is more of a jungle-infused production which sabotages itself with some dodgy, general midi-esque saxophone.